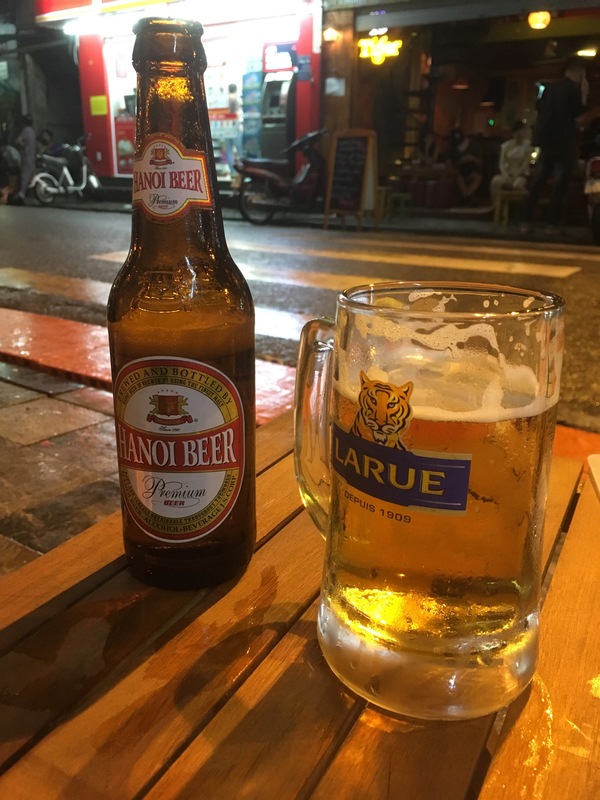 So my time in Hanoi has come to an end and I’m now off to Hue. In fact as I’m writing this I’m currently waiting at my boarding gate because my flight to Hue has been delayed. I realise I said that I probably wouldn’t blog whilst I was away but I’ve been missing it and I’ve got some time to kill in this boarding gate. 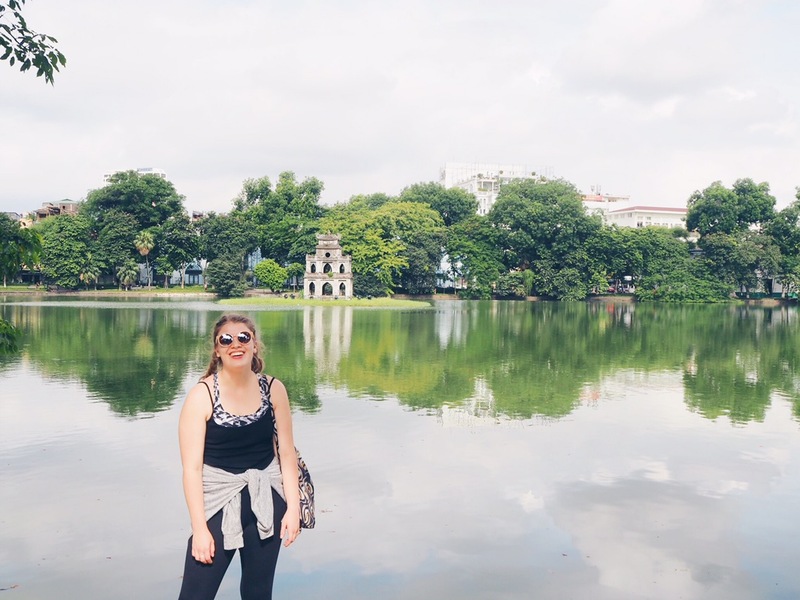 So I thought I’d do some blogging and tell you about Hanoi; what I loved, what was good and all the weird and wonderful! First things first, the heat is just something else! We arrive in the airport at about 4:30 AM Vietnamese time and it was already 27 degrees Celsius. 27!! I honestly thought I died when I stepped out the terminal. 6 days in, I’ve sort of got used to sauna central, but it still is a rather heated affair. If you’re coming this way make sure you’re prepared for the chub rub and sheer heat and humidity of the situation! 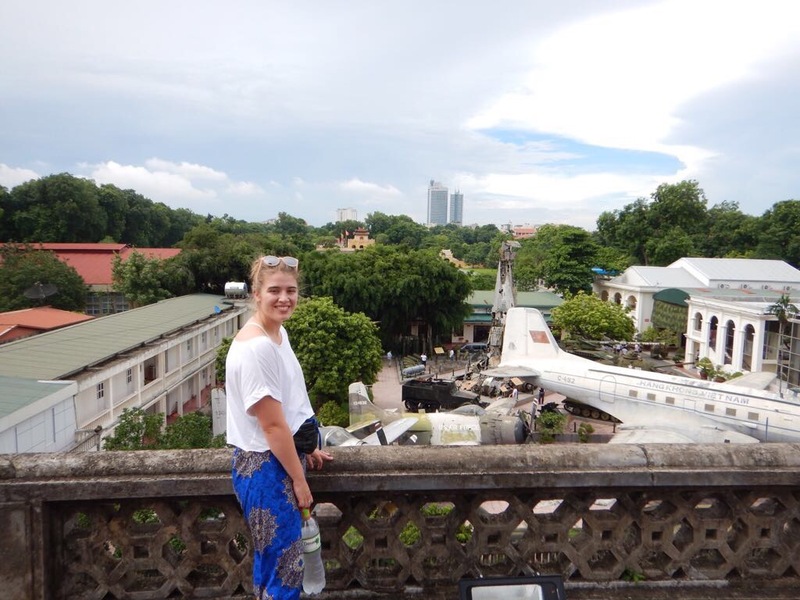 We also were blessed with a typhoon on Monday, resulting in our pre-arranged overnight cruise to Halong Bay being cancelled. This was quite upsetting as I had been really looking forward to it, but considering the typhoon we experienced I’m glad we were in a hotel room rather than a boat! Next the food is just delicious and so cheap! For both Josh and I to have a meal and drinks we’re looking at no more than £10 at the very most and is still so tasty! We’ve tried banh mi (a Vietnamese sandwich) and Pho (a Vietnamese noodle broth) and I have to say both are very delightful! Just trying new flavours is always something to enjoy! The restaurants we’ve eaten in also have their own charm. Last night at dinner, for example, half way through our meal there was a mad rush of tables folding up followed by the waiters hurriedly forcing us inside as we were seated outside on the pavement. There we were standing with chopsticks and beer in hand with all the other tourists looking rather confused. As it turns out the local police were doing their rounds and the restaurants aren’t allowed to sit people outside on Tuesdays so we all had to pretend otherwise! Very strange and funny to say the least! For someone that very very rarely drinks I must say the beer over here is rather nice too! Quite often it’s cheaper than water so it’s always a nice option! 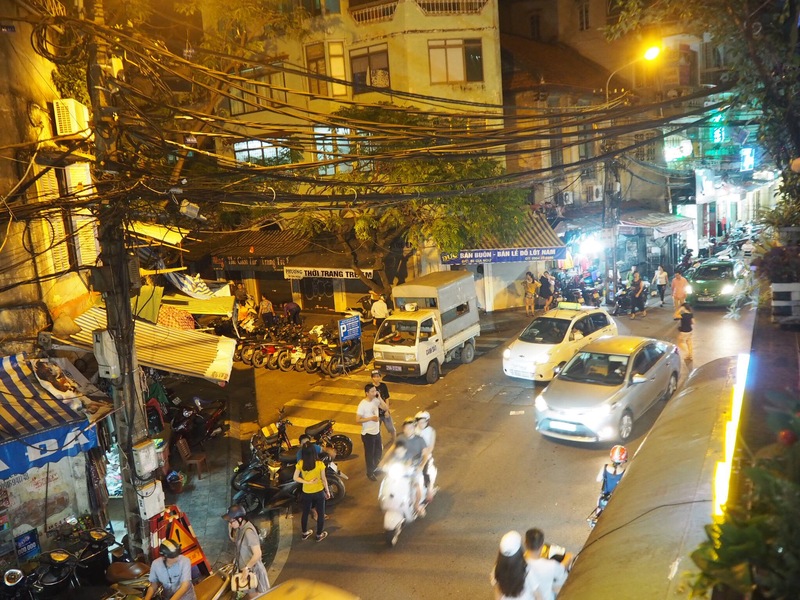 Now of course the main thing about Hanoi is its history. Having studied the Vietnam War at A Level, I have a fairly good understanding of what went on. Just walking along the streets where such iconic and devastating events took place was just unbelievable. 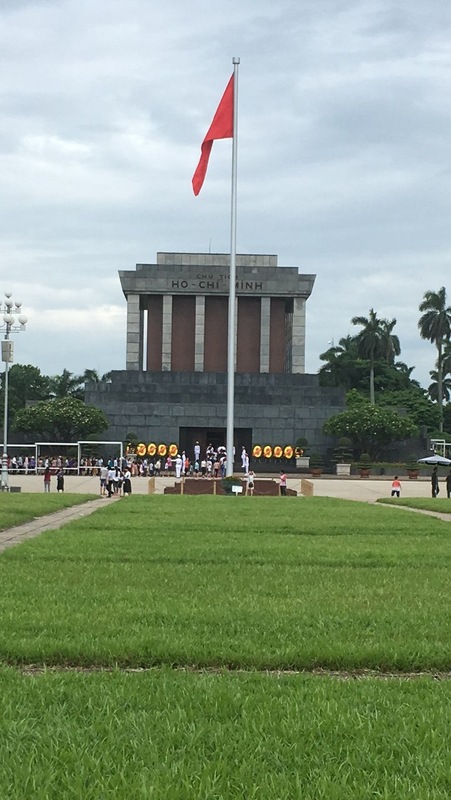 The Vietnamese military museum was amazing to see all of the weapons and aircraft used in the war, as well as all the booby traps laid by the Viet Cong too! 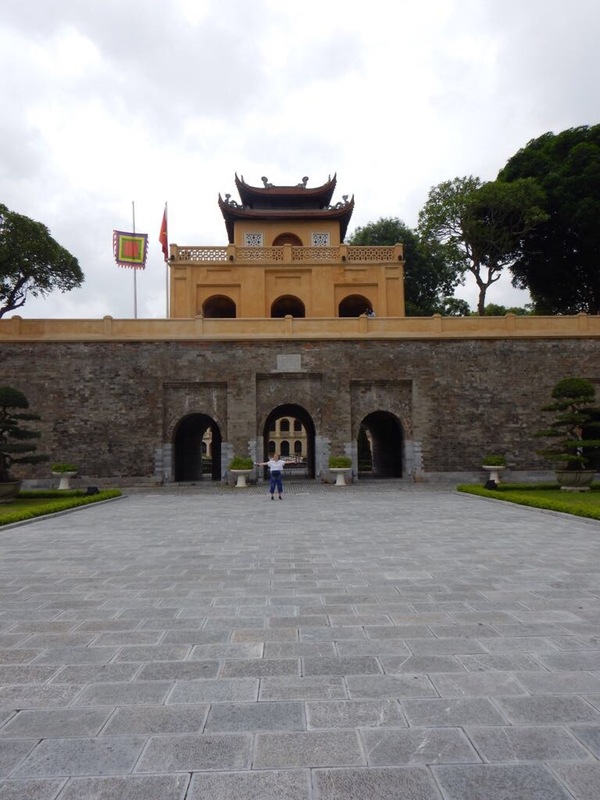 Plus being able to stand in the office of General Giap and to see where the North Vietnamese operations were based was quite extrordinary. 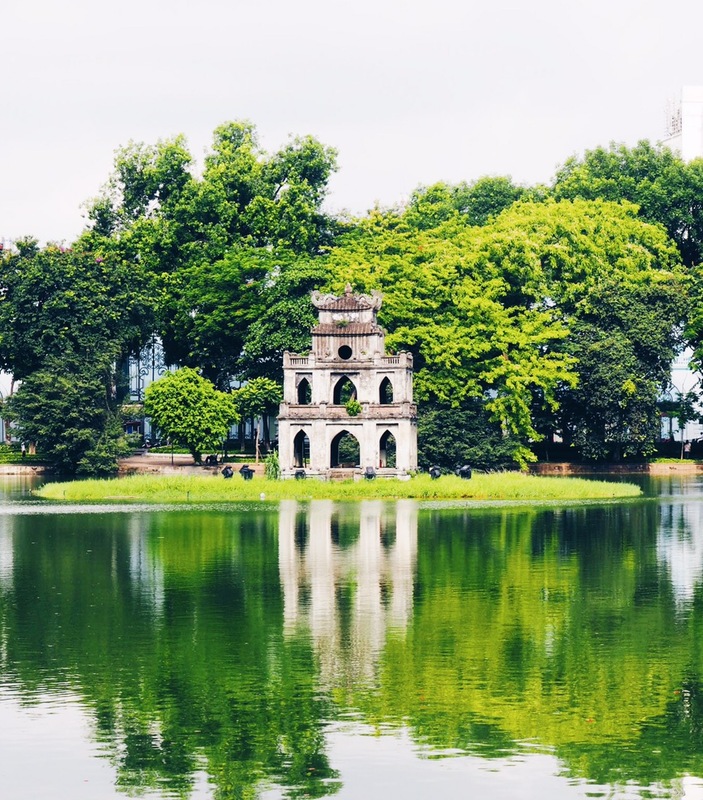 And then of course there is Hoam Kiem Lake which is utterly gorgeous. We probably spent the majority of our evenings strolling round it’s perimeter or sitting on one of its benches. 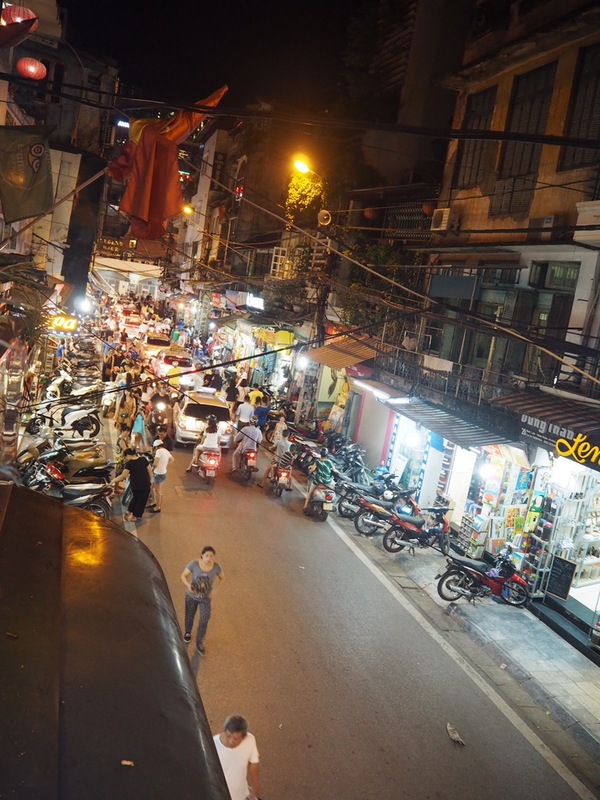 Then there is the biggest culture shock of it all I guess and that is the traffic. It is just mad. I honestly felt like I was going to die every time we crossed the road. Ref lights? Nah don’t need them. Pedestrian crossings? Nah don’t need them. The sheer chaos of it all was enough to make your heart stop. It seems as long as you toot your horn long enough you’ll be just fine! The photos above my not look that bad but trust me that’s not chaotic at all compared with some of the roads we saw! I’d love to travel to Vietnam one day. It sounds like you’re having an amazing time, I’m so jealous! The incident with the not being able to seat people outside on a Tuesday is very odd but definitely an experience. I can’t wait to read more!